The product of many musical crossroads, meeting point of very different cultures -specially jazz and flamenco music-, the career of Carles Benavent began in a watershed year for Europe, 1968. Born in 1954, he grew up in the popular and endearing neighborhood of Barcelona’s Poble Sec and, at the tender age of 13, formed his first group, Crack, which in 1970 became Máquina!. Five years later, together with Joan Albert Amargós, he founded Música Urbana, Spain’s flagship of jazz-fusion. 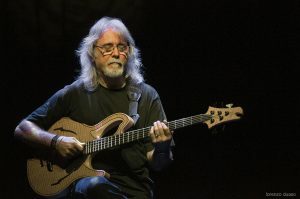 Starting in the late 70’s, he appeared in various groupings throughout the country, and his name began to be associated with some of the best established musicians in the Spanish jazz-fusion scene, such as Kitflus, Tito Duarte, Max Sunyer and Salvador Niebla. In 1980 he joined Paco de Lucía -a relationship that would last for more than twenty years-, and the legendary “Paco de Lucia Sextet” was born. They toured Europe, America and Japan, sharing the stage with such greats as Jorge Pardo, Rubem Dantas and Ramón de Algeciras, amongst many others. This marked the beginning of Carles’ prolific recording career with flamenco artists, including Paco de Lucía himself (five albums), as well as another legendary name, Camarón de la Isla (four albums), and helped him earn his nickname of “La Garza Flamenca”. In 1982 he embarked on the first of two international tours with another legendary musician: pianist Chick Corea. Between that same year and the next, they recorded two albums together: Touchtone and Again and Again. His first album as a leader, the self-titled Carles Benavent, appeared in 1983. In 1990 he was invited to participate in a special concert, produced by the Swiss Television, along with Jorge Pardo, Gil Goldstein, Don Alias and Alex Acuña. On the heels of this appearance, the group performed in New York and recorded for Blue Note Records. From that point on, Goldstein would be regularly featured on Benavent’s albums. In 1991 he played the Montreux Jazz Festival with Miles Davis, in a tribute to Gil Evans directed by Quincy Jones. The concert was recorded in yet another album: Live in Montreux. In 1992 he took part in the project Jazzpaña, with Cologne’s WDR Big Band, under the direction of Arif Mardin and Vince Mendoza. In 1995, after recording his fourth album, Agüita que Corre, he suffered a serious traffic accident that kept him from performing for a full year. His iron will, but most of all his boundless passion for his music, took him back to the stage with Paco de Lucía the following year; he reappeared with a new group in the Getxo Jazz Festival and recorded his fifth album with a title that reaffirmed his desire to remain in the thick of things: Fénix. In 1998 he put together the Benavent/Pardo/Di Geraldo Trio. 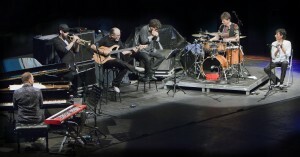 One of the trio’s live performances, El concierto de Sevilla, would also become the group’s first album. In 2000, he toured England with the Don Alias Birthday Tribute, along with Gil Goldstein, Alex Acuña, Giovanni Hidalgo, Steve Berrios, Michael and Randy Brecker, and Don Alias himself. As always, talent and friendship were the hallmarks of this tour. In 2002, he published his seventh album as a leader: Aigua. 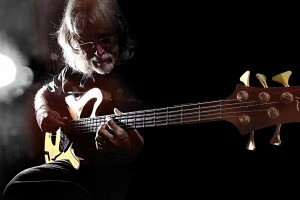 In 2003, luthier Jerzy Drozd designed a new instrument especially for him: a semi-acoustic bass that Carles christened “Barcelona”. This same “Barcelona”, as if it was an extension of his creativity, has remained his faithful companion up to the present day. One of that year’s highlights was his performance at the Vitoria Jazz Festival with Pardo, Di Geraldo, Gil Goldstein and Pat Metheny. 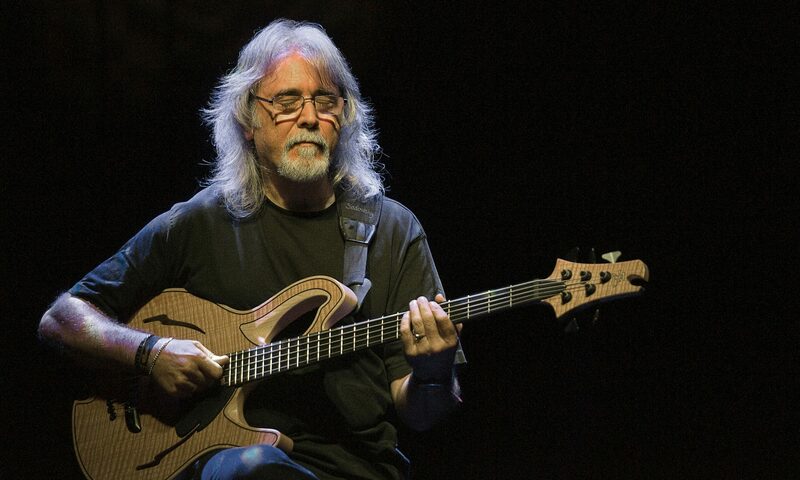 In 2004, he toured again with Corea in a group billed as Chick Corea & Touchstone, and featuring Jorge Pardo, Rubem Dantas and Tommy Brechtlein. That same year he performed in Barcelona with his project Benavent Three Tríos: (Jordi Bonell/Roger Blavia, Gil Goldstein/Jorge Rossy, and Pardo/di Geraldo), and the additional collaboration of Othello Molineux. He also recorded a new album with Jorge and Tino: Sin Precedentes. In 2005, he took part in the recording of Chick Corea’s album The Ultimate Adventure, featuring Steve Gadd, Vinnie Colaiuta, Hubert Laws, Airto Moreira, Hossam Ramzy and Tim Garland. In 2009, he recorded Quartet with Jordi Bonell, Ravid Goldschmidt and Roger Blavia. In 2011, he published Un, dos, tres …, featuring pianist Roger Mas and percussionist Roger Blavia. This trio has been together for the last few years and has been performing with different guests, such as trumpetist Raynald Colom. In 2015 Carles introduced The Carles Benavent Ensemble, featuring Joan Santmartí and Roger Blavia plus a string quartet, revisiting his -now a classic- album Agüita que corre. 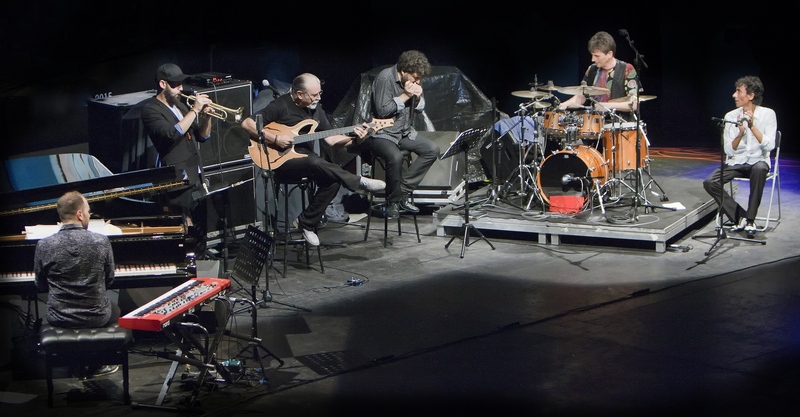 The Carles Benavent All Stars -featuring Roger Mas, Roger Blavia, Antonio Serrano, Raynald Colom and Tomasito- performed at the San Javier Jazz Festival, and were reviewed as “the best concert of this year’s Festival” by the media.